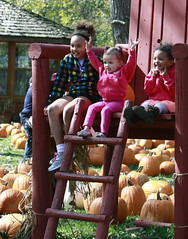 Since we began in 1983, Papa’s Pumpkin Patch has maintained a focus on families, education and fun. During our 2018 season, we ask $5/person admission, and if you have toddlers in your family that are two years or younger, they visit Papa’s for free. Working on a budget? 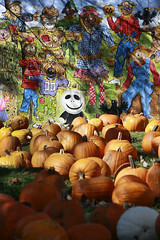 Consider visiting Papa’s Pumpkin Patch on a Thursday night during our season (Sept. 9 – Oct. 20). This fall, we are bringing back Dollar Day, and it’s every Thursday at Papa’s. We’ll have all of our extra activities open for your enjoyment (5-7 pm), and admission will be just $1/person. Want another idea? 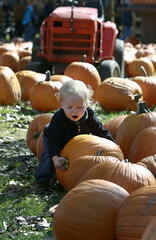 Plan now to visit Papa’s Pumpkin Patch on Midco Free Day: Thursday, Sept. 20. That’s right! Our friends at Midco will cover your admission, and each guest receives $5 in pumpkin cash to use wherever you’d like inside Papa’s. Here’s another way you can get a free admission to Papa’s: BYOW. That stands for Bring Your Own Wagon. If you bring your own wagon (not a stroller) with you to Papa’s admissions area, we will welcome you or one of your family members for free. Papa has a fleet of wagons that are available on a first-come, first-served basis, and it never seems there are enough. 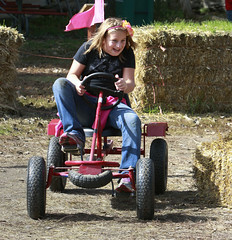 So, Bring Your Own Wagon and you get a free admission PLUS you’ve got a wagon for carrying little ones or your favorite produce! Next Post Tons of Fun at Papa’s!